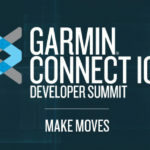 Garmin’s Quickdraw Community just surpassed the two-years-going mark, and it continues to see incredible growth — both in usage and reach. In its first 365 days, data from nearly 700,000 acres’ worth of worldwide water travel had been uploaded to the Community, coming via nearly 5,000 users and in an average of 400 uploads per month. Those numbers mushroomed in Year 2, with nearly 20,000 users uploading around 1,700 times per month, resulting in an additional 1.3 million acres added to the database, including 800,000 acres in the past four months alone. And with Garmin’s fall 2017 unveiling of ActiveCaptain, an all-in-one marine mobile app, and its acquisition of digital navigational-chart producer Navionics, this Quickdraw Community data surge is likely just beginning. At the outset, the Community’s upload process required a few steps and a desktop application. Now, with the Community included in ActiveCaptain, users can easily upload to and download from the Community the latest Garmin Quickdraw Contours — with zero button presses. It’s become a totally user-friendly and streamlined process, which has given way to a global usage wave in the past year. In the first 12 months, for example, there was little Community data coming from outside of the eastern half of the United States and western Europe, but that has changed since. A quick glance at Garmin Connect reveals users now uploading water routes in all corners of the globe, from Russia and Asia to South America and Australia. Significant use cases have been documented, too, with users seemingly taking it upon themselves to survey bodies of water big and small. Data points along myriad ponds and rivers now dot the Connect world map, and routes through much of the United States’ Intracoastal Waterway are prevalent, as is data coverage through much of southern Florida and the Caribbean after the area sustained heavy damage in 2017’s Hurricane Irma. 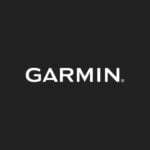 The Garmin Quickdraw Community on Garmin Connect is available now at garminconnect.com/quickdraw. Quickdraw Contours comes standard on all current STRIKER Plus, ECHOMAP Plus and GPSMAP products and is available as a free software update for all other echoMAP and many GPSMAP series products. It can be used with any depth transducer, including Garmin’s Panoptix line of transducers. For videos, tips from pros and articles to help you become a better angler, follow Garmin Fish & Hunt on social media on Facebook, Instagram and Twitter.